The holidays are coming!!! Get 10% off caterings, (food portion) for bookings placed by October 31st with deposit. (Home, office, business or private parties) Some restrictions apply. We are your one-stop catering specialist. Tables, Chairs, Tents, China and most of all great food!! All food delivered in stainless chafers hot & ready to eat. Made with lump crab & swirled with a raspberry sauce. Lightly drizzled with a spicy raspberry sauce. Stuffed with horseradish. Dipped in BBQ sauce or New Orleans Cajun sauce. Sliced individually & served in a natural au jus with mint. 70 pieces for a full pan minimum (average price $3.00 per piece). Filet mignon in a demi-glace & Thai steak sauce. Handmade with ground sirloin of beef. Hand breaded & tender with marinara dipping sauce. Hot & spicy, mild BBQ or honey dijon (100 pcs) Comes with blue cheese dressing. Made with lump crab with drawn butter. Stuffed with cream cheese. With salsa & sour cream dip. Stuffed with potatoes & cheese. Lump crab & cream cheese in won ton wraps with spicy plum. Kids love 'em with BBQ or honey mustard dip. Char-grilled & served with a Thai dipping sauce. Stuffed with jack cheddar & bacon bits, with a side of sour cream. Bone-in chicken (real), Jamaican style, bold & spicy. Marinated dark meat chicken, BBQ Hawaiian style. Add grilled chicken breast to either salad. Served with cubed cheeses, pepperoni, fresh fruit & gourmet crackers. Average serving per tray 40 people. Wisconsin cheddar & bacon, cream cheese & chipotle, Jack cheddar & fresh garlic, Gorgonzola & pine nuts. Topped with fresh vegetables & cheese. Choice of dressing on the side. Served with cocktail sauce & lemon wedges. We use only the best Mexican cold water shrimp! Crisp Romaine, croutons, grated aged romano cheese, classic Caesar dressing on the side. Free range turkey, fresh greens, Romaine, fresh bartlett pears, dried cherries, gorgonzola, tomatoes, cucumbers & walnuts. Suggested with cherry vinaigrette dressing. Seared Prime Rib, Romaine, fresh greens, onion straws, tomatoes, gorgonzola & cucumbers. Suggested with bleu cheese vinaigrette dressing. Served in stainless chafers with sternos. Aluminum pans also available upon request. In a lemon, wine & garlic butter sauce. Demi-glace mushrooms & marsala wine. Not too spicy but with a kick. In a creamy basil sauce with pine nuts & garlic. Fresh chicken in a lemon sauce with capers. Hand-breaded in a marinara sauce with provolone & parmesan. With fresh pineapple, sweet peppers, onions & tomatoes. Smoked ham, bacon, mushrooms & sweet peas with alfredo sauce. Lots of chicken & broccoli in our alfredo sauce. Bone-in using fresh seasoning & spices. Creamy basil pesto with pine nuts. Sliced fresh turkey breast topped with natural gravy. With marsala wine & mushrooms in a demi-glace sauce. Thin sliced veal stuffed with prosciutto & fresh mozzarella. Served piping hot in stainless chafers or aluminum pans. With ricotta cheese & marinara sauce topped with romano. Traditional vodka sauce with ricotta cheese, romano & spinach. Ricotta cheese stuffed shells & our homemade marinara sauce. Fresh basil & pine nuts in a cream sauce. Lots of ground beef with ricotta, mozzarella & parmesan cheeses. Hand-breaded with ricotta, mozzarella & parmesan cheeses. We will prepare any fresh seafood that you may want (your way). Shrimp Fra-Diablo, Fried Shrimp, Shrimp Florentine, Mussels, Steamers, Etc. Lemon, wine & garlic butter with parmesan cheese over rice or pasta. Lightly battered & fried to perfection, served over rice or pasta. Tossed with fettuccini or penne pasta in a rich alfredo sauce. Broiled with lemon, wine & butter with rice of any pasta. Broiled with lemon, wine & butter with rice or any pasta. Made any way you'd like it prepared (over rice or pasta). Off our regular menu and cut into single bones (10 slabs). The best ribs in Monroe, MI. Carved off the bone with mustard glaze. With a little brown sugar & spices. Italian favorite with traditional seasoning. Fresh pork smoked & BBQ 13-15 lbs. with 35 six inch club rolls. Sliced filets in a brandy cream sauce with crimini mushrooms & demi-glace. Portabella mushrooms with Jack Daniels steak sauce 6 oz. pieces, 18 filets per pan cut in half if you'd like. 8 oz. filet mignon also available. In a sour cream sauce with mushrooms & onions over pasta noodles. With natural brown gravy or au jus. Cooked slowly for 10 hours, served with au jus. Yields approximately 9 to 10 lbs, cut (30) 6 oz. pieces or (20) 8 oz. pieces or (16) 10 oz. pieces. Thin sliced prime beef glazed with dijon mustard & rolled, stuffed with dill pickle spear, smoked bacon & Swiss cheese (loved by many). 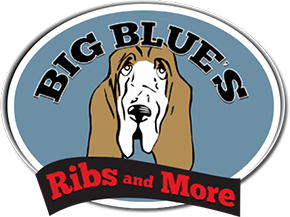 Add Baby Back Ribs for $3.00 per person. Add water, soda, cups & ice $1.25 per person. Includes all paper ware & condiments. Served in stainless chafers or aluminum pans. Garlic mashed or regular mashed. In a cream sauce with smoked ham & parmesan cheese. In a garlic herb butter. Mushrooms, sweet peas, onions with parmesan cheese & spices. Red beans & rice with New Orleans spices, Cajun seasoning & hot sausage. In a maple butter sauce with melted marshmallows on top. With garlic herb butter or hollandaise sauce (market conditions on most top shelf vegetables). Butter, brown sugar, ketchup & a little hot sauce. In a brandy butter sauce or maple brown sugar. With butter & almonds or teriyaki sauce and almonds. In a mushroom cream sauce topped with onion straws. Stuffed with ricotta & mozzarella cheese with marinara. Ricotta, parmesan and mozzarella cheese with lots of vegetables. Kids love it, adults love it. Been around for years. With foil wrapped butter chips. Packages are just sample menus. *Substitutions available upon request of similar items. Your catering director can guide you upon request. Discounts available on large functions. Includes all paper ware $16.95 + tax per person. Grilled at your site or hot in stainless steel chafers. (Chef with grill $35.00, bartender $25.00, server $20.00 per hour, 4 hour minimum). Includes all paper ware $10.95 per person. Have one of our chefs make your guests their own personal omelet. Includes everything above for $12.95 per person + $30 per hour for the chef. Continental breakfast packages are also available. Tossed with Caesar dressing (excellent). So popular we can't seem to make enough. Creamy style with peppers, onions in our homemade sauce. With sweet peas and our special dressing. Topped with balsamic vinaigrette dressing. Thanks John Horan for this recipe. Homemade cinnamon apples & crumb topping. Cherry pie filling with cinnamon crumb topping. Iced or not with nuts or not. Half size and full size always available. We can special order them with any filling or frosting you would like. Yellow, vanilla, marble, lemon, chocolate or chocolate chip. Please allow 3 days notice for special orders. Peanut butter, chocolate chip, chocolate fudge, oatmeal, macadamia nut, sugar cookies. Available in strawberry or blueberry. For the best quality, Big Blue’s makes everything to order. Please let us know if you are in a hurry! Not all ingredients are listed on our menu.